At least a few people will apply for every decent job offer. These people are your competitors in an interview. 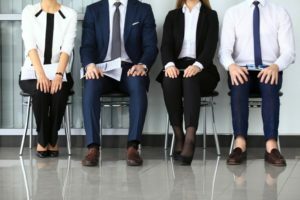 Will the employer hire you, or one of them at the end of the day? Obviously, everything you say and do in a meeting with the employer has at least some impact on the outcome of the job interviews. 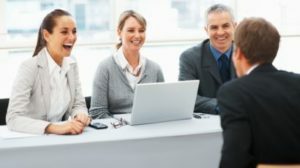 But some hiring managers and recruiters (mostly inexperienced managers) use a more direct approach to find out whether they should hire you, or somebody else: they directly ask you why they should. In this article we will check good sample answers to this question – for a variety of positions, and we will also analyze the question in detail. Deeper analysis of the question: What do the interviewers want to hear from you? You should hire me, because I posses a rare ability to uncover and develop the strengths of other people. Management is my passion, and I just love to help the others to achieve their goals, to enjoy their job, and to mutually help the company grow. * Check also: Interview questions for managers. I know how to touch the hearts and minds of the prospects, and how to turn them to customers. I really enjoy marketing, and I can’t wait to design some successful campaigns for your clients. I really like the product of your company, that is the first reason why you should hire me. You can sell something well only when you truly like the product. Secondly, I am really passionate about selling, and enjoy pitching the customers. I know how to deal with different personalities, and I have guts to go and talk to anyone. * Check also: Sales interview questions. I am aware that I have no experience. But I am willing to learn, motivated to work hard, and I will do my best every day to help you to achieve your goals. I love to talk with the others and to help them. Communication makes me happy, not only in my job. I will do my best to create a smile on the faces of your customers, so they can come back and make another purchase. I like to talk on the phone, and negative responses never discourage me. I have an ability to swallow virtually everything, and I believe this ability is crucial if one wants to be good at this job. I can see the good, and the bad in people. I work professionally and never let my emotions to get the better of me, and influence my decisions in work. My computer is my best friend. If I work on the project, I am able to focus on my tasks and nothing will distract me. I give interesting insights on every project, and I work hard to keep my coding skills up to date. I try to learn something new every day. My job is my mission. I believe that teachers shape the future, by shaping their students. Therefore I approach my job responsibly, and I try my best to be a good role model for the students. * Check also: Teaching interview questions. I am organized and I keep a good track of everything. I can work quickly and do not mind routine tasks. In fact, I prefer routine jobs I am always positive in work, and help to create a good atmosphere in the office. These are the main reasons why you should hire me. They want to hear that you could help their company prosper, and they want to hear that you actually care about their business and success. They desire to know your motivation to work hard. They try to understand the value you can bring to their team. Now wait a second. Shouldn’t the interviewers figure it out on their own? Aren’t they paid for their ability to recognize your potential, your motivation, and your weaknesses? To see that you can assess your own skills and strengths realistically, which helps them to determine your level of self confidence, and other important things. They use it as your last chance to tell them the reason for hiring you, becasue they could not identify the reason on their own. Because I am the best candidate for this job. 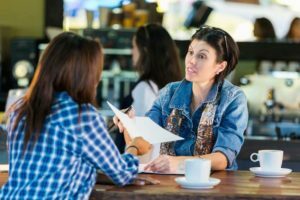 How can you tell without meeting other applicants? I meet the requirements for the job. Too general. You need to list the exact requirements you meet. I have no idea. If you have no idea why it makes sense to hire you, how can we figure it out? Think whether you posses at least some of those skills. Use them for your interview answer, and add some motivation and enthusiasm to the mix. Note: Do not forget that your answer should correspond with your interview presence. If you looked bored, yawned, and employer did not see any enthusiasm in your eyes, they would not trust your claims of motivation and enthusiasm. Positive feelings and thoughts when it comes to the working environment, vision and goals of your employer. You should be able to answer this difficult question now. If you want to be sure to handle every challenge in your upcoming interview, have a look at our Interview Success Package. Thank you! Why do you want this job? A tough question indeed, especially if we speak about jobs that are generally considered bad, or at least not ideal, and we apply for them simply because our current situation does not allow us to apply for a better job, or because we need any job, to survive. What re your goals? Learn how to connect your goals with their goals, impressing the hiring managers.